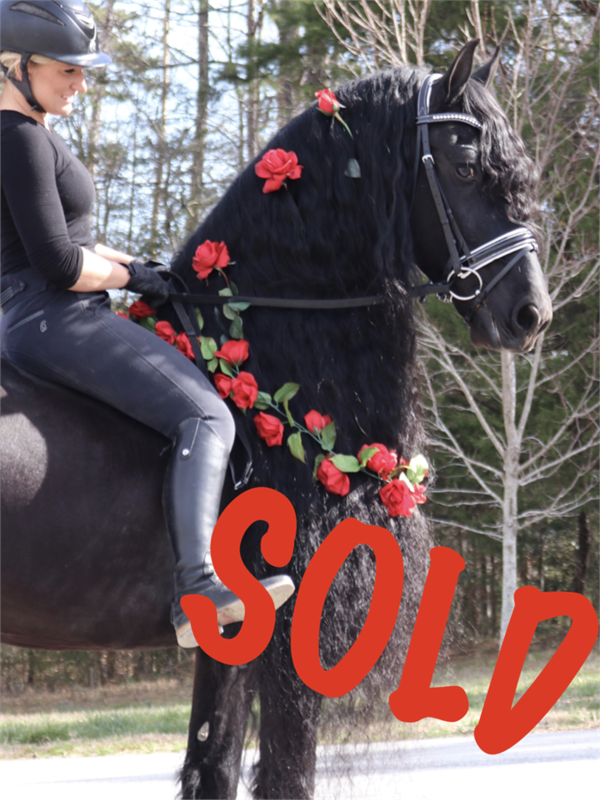 Are you in search of a one in a million, show-stopper, SCHOOLMASTER Friesian? Meet the Magnificent Giovanni SPORT! 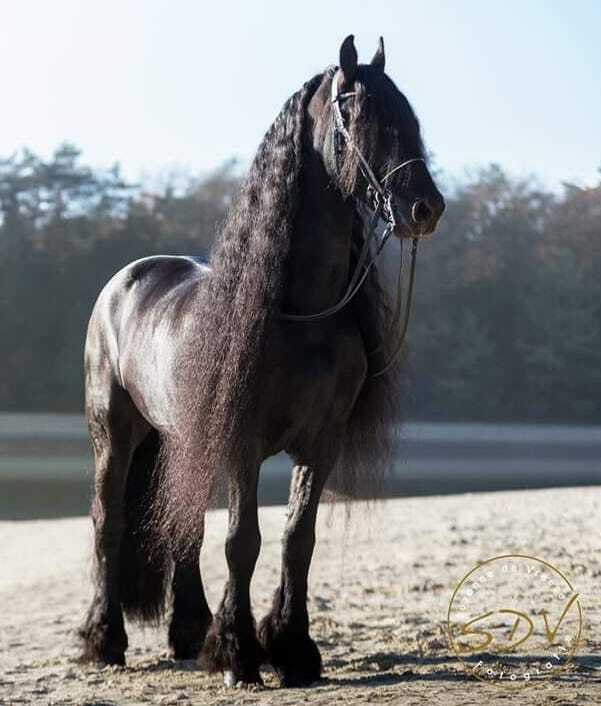 MEGA Hair, Ultimate FAIRYTALE horse! 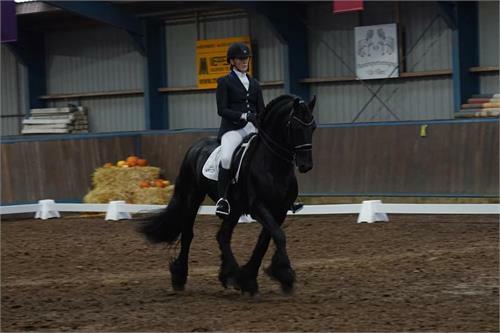 He is like the Lamborghini model of Friesians. Luxury! 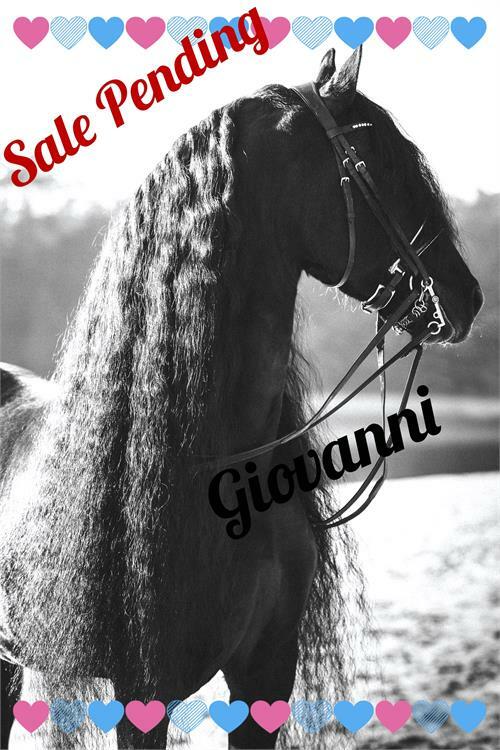 If you want the best, you need Giovanni. He has spectacular movement for dressage . He is one of the most beautiful, regal Friesians we have ever seen. 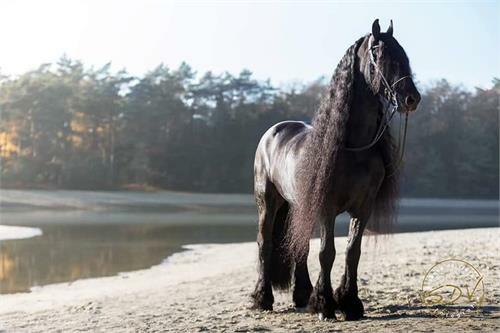 He has the look of an approved stallion. He has the fairytale look that EVERYONE wants. 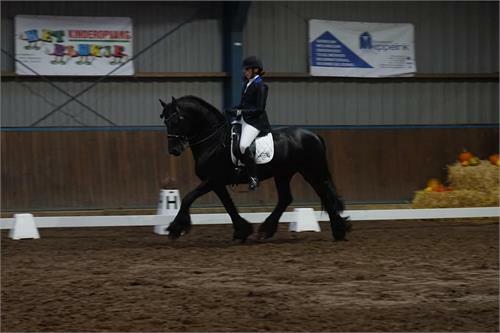 He is an absolute dream horse. VERY THICK mane AND forelock! His hair is OUT OF THIS WORLD!! We think Giovanni is one of the prettiest horses in the world. He thinks great and is super brave! He is the perfect age of 10 years old. This is a great age because he has been there, done that but has many more years left for enjoyment. Giovanni is also as sweet and loving as they come. Just watch his videos of him following us around. He has the personality like a puppy dog. Giovanni has excellent breeding. 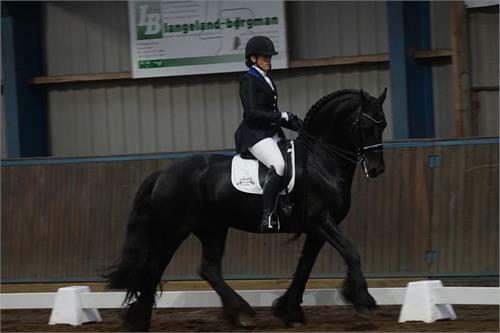 His father is the approved Sport stallion, Felle 422, this is where he gets the hair from! 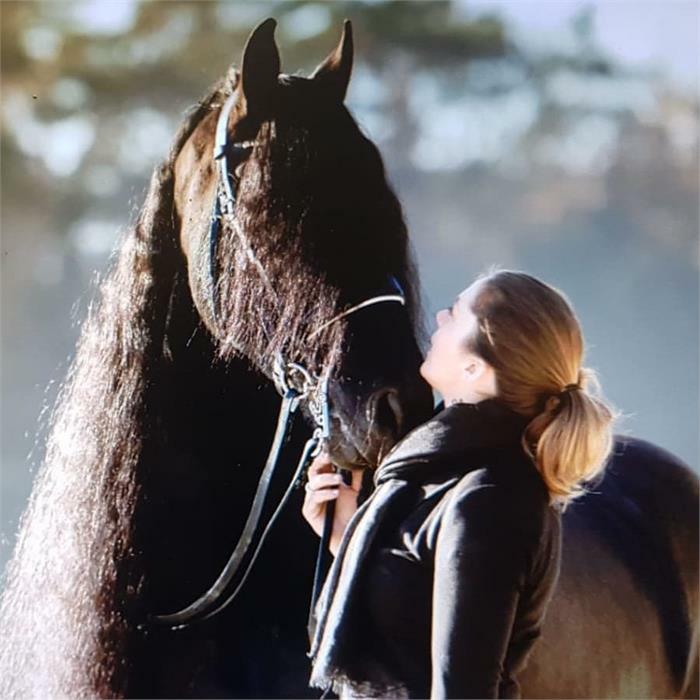 Felle has a beautiful long neck and excellent conformation, and boy can we see this in Giovanni!